Machine learning and deep learning are showing a sharp growth trajectory in many industries. Even the semiconductor industry, which generally has resisted this technology, is starting to changing its tune. Both machine learning (ML) and deep learning (DL) have been successfully used for image recognition in autonomous driving, speech recognition in natural language processing applications, and for multiple uses in the health care industry. The general consensus is that it can be similarly applied to semiconductor design. This isn’t exactly a new idea, though. The basis for ML and DL in chip design dates back nearly two decades, and the concept of ML/DL dates back another three decades before that. That made sense on paper, but actual adoption lagged. ML is a set of algorithms that enable a computing system to recognize patterns from large data sets. Deep learning adds multi-layer artificial neural networks to applications involving large amounts of input data and draws inferences that can be applied to new data. Because chip design generates huge volumes of data, both ML and DL will be useful. Still, in order to achieve the most benefit from ML and DL, much thought must go into where and how the techniques can be applied. This provides some interesting adjacent opportunities for companies, as well. 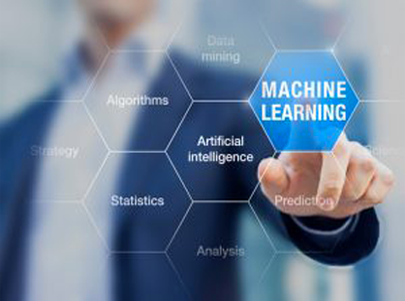 Norman Chang, chief technologist for ANSYS’ semiconductor business unit, said his team began looking at how to use ML/DL for image recognition and natural language processing. But after searching for two years, ANSYS could not identify a startup focused completely on machine learning/deep learning, so it decided to approach this market on its own. For the design itself, there are opportunities as well. Chang pointed to the generative adversarial network (GAN) technique that has become very popular in the last year. ANSYS has demonstrated it could be used to automatically come up with many possible design varieties automatically — with the appropriate constraints. He believes the EDA industry also can use ML/DL for input selection and input dimensionality reduction. As for core simulation, surrogate and optimization models can be created to speed up the simulation. Then, after lengthy simulations, neural network models can be built, which can be used by designers to perform interpolation/extrapolation for prediction of other conditions. Yet another area where ML might be applied is in the correlation of output from various simulation tools. There is a role for ML/DL in verification, as well. On the functional verification side, there are several areas where it can be applied. However, functional verification has a different starting point than many other ML/DL applications. That doesn’t apply for semiconductor design. Translation: More data works better, and that means chipmakers and tool vendors need to figure out ways to gather more data. So what will be the deciding factor in making a business out of machine learning in EDA? How do tool developers today decide what to work on, and invest in?